Ferrari 288 GTO Red 1/18 Scale by Hot Wheels ELITE Edition VERY RARE FIND, $999.99 at Modena Motors Inc. The Ferrari GTO produced from 1984 to1986 was designed initially for GT racing. Its 8-cylinder engine has a capacity of 2.8 liters. 'O' stands for 'Omologazione' (to allow for racing). With only 272 GTOs built, it has the smallest production figure of any road-going Ferrari over the last 30 years. When the Ferrari GTO was launched it featured the most powerful engine Ferrari had ever fitted to a road car, developing 400 horsepower. Its debut was so highly anticipated that when the model finally broke cover at Geneva in 1984, it created the 'instant collectible' market for automobiles. The 288 GTO was the real starting point for the 'supercar syndrome' and demonstrated the market for low-volume-production, extreme-performance sports cars, at almost any price. 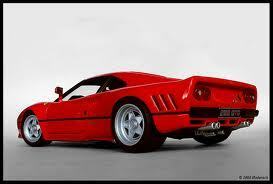 The Ferrari 288 GTO was eventually succeeded by the legendary Ferrari F40. While you may never find the real thing, this 1:18th version is a spectacular replica! Very hard to find Ferrari model by Hot Wheels ELITE EDITION!!!! Stunning ROSSO CORSA (RED) brand new in box. Long SOLD OUT and Discontinued by Hot Wheels, We managed to find the very last that were available. The detail is spectacular and the value is sure to go nowhere but up on this one. Payment by Pay Pal available with shipping in Canada and USA available. VERY LIMITED QUANTITIES AVAILABLE!! !